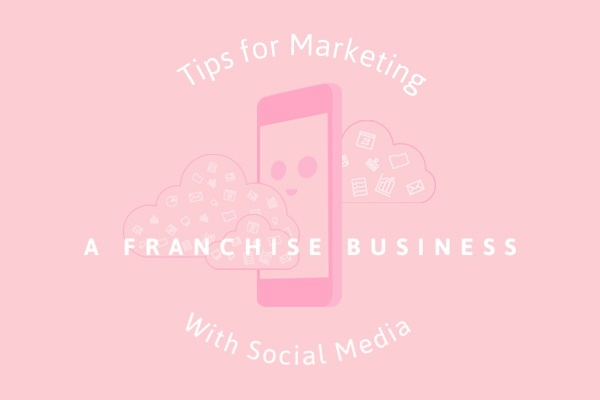 As a new owner, marketing a franchise business on social media might seem to be yet another daunting task on your list. However, social media shouldn’t be taken lightly as a medium for marketing your business. If it’s new to you, take a look at a few of our social media tips for franchisees below! Defining your business goals is the first place to start as your social media marketing efforts must fall in line with them. In this way, having goals will give you clear direction in creating your social media strategy, which will further assist in executing your plan. Knowing your goals also helps you define success! Once you have your strategy in place, execution should be a cakewalk. However, it’s important to break down your tasks into bite-sized, digestible pieces to avoid getting overwhelmed. Whether it’s daily, weekly, or monthly, a social media content calendar is a great tool to stay organized. If you don’t want to create your own, download HubSpot’s free social media content calendar template! Scheduling tools also come in handy, so use them to your advantage. Your Facebook business page has an in-built scheduling option for your posts, so use this to simplify your day-to-day activities. You can also conveniently schedule Facebook posts, LinkedIn updates, Google+ posts, or tweets all in one place with Hootsuite, Buffer, or other such services. One of the many advantages of social media is that it allows businesses to humanize their brands, and connect with their audience (read: it’s a two-way street). With people constantly being bombarded with information, it’s important to ensure that your social media content adds value to your audience. A common mistake most people make when starting out on social media is being over-promotional. Remember, it’s not about standing on a soapbox and urging people to pay attention—they won’t. Instead, educate your audience, not only about your product or service, but about what’s relevant to your industry overall. In this regard, keeping promotional posts to a minimum can go a long way. There are different formulas for this that you can follow. One such formula is the ‘Rule of Thirds’, wherein one third of your content should be promotional, another third should add value, and the last should involve engaging in personal interactions (or conversations) with your audience. Marketing a franchise business on social media is slightly different from others. This is because maintaining consistency throughout the entire brand is essential. In this case, the answer is simple enough—follow the policies the franchisor has put in place. Having said this, your content does not have to be based on a cookie-cutter model. If the franchisor encourages franchisees to have a presence on social media, take advantage of the opportunity. Do create a personality for your business, but remember to keep this consistent across your social media channels. One of the most important social media tips for franchisees is to maintain an active online presence on all platforms you’ve committed to. Remember, it reflects very poorly on your business if your social media accounts are inactive as opposed to not having an account at all. Staying active does take some time and effort, but it is possible nonetheless. This is typically where your social media strategy and calendar come in handy! As an event entertainment company that leverages the power of social media, we cannot stress its importance enough for marketing a franchise business. If you are a new franchise owner, here are a few other tips on how to build a successful franchise business. Don’t forget to also familiarize yourself with the key roles and responsibilities in the franchisor and franchisee relationship as well. 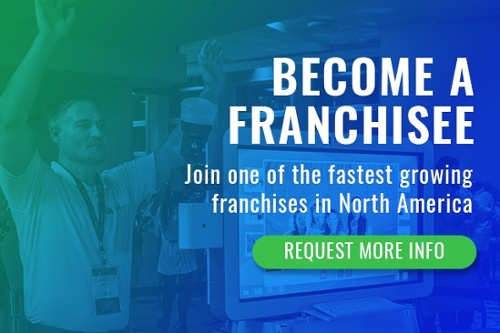 If you’d like to learn more about franchising opportunities with TapSnap, give us a call at 877 577 0566 ext 741. We’d love to hear from you!